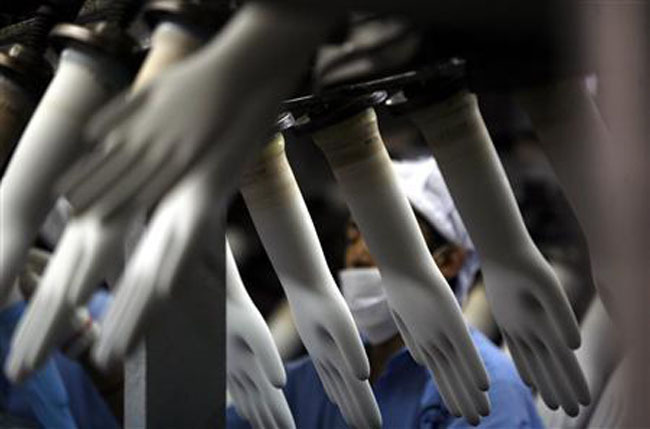 KUCHING: Analysts see the hike in minimum wages to RM1,050 effective January 1, 2019 nationwide to have negligible impact towards the rubber glove sector. The government announced on September 5, 2018 that it is raising the minimum wage to RM1,050 from RM1,000 in Peninsular Malaysia and RM920 in Sabah and Sarawak beginning next year. Recall that one of the manifesto of the new Pakatan Harapan government is to raise the minimum wage from the current levels to RM1,500 with half of the increase to be borne by the government. However, the government announced recently that minimum wage will not be raised to RM1,500 immediately but it will be raised in stages in the next two years. It was also mentioned in the announcement that the government will not bear the additional RM50 increase in minimum wage next year. While the increase in minimum wage in general is negative news for the overall sector, researchers at MIDF Amanah Investment Bank Bhd (MIDF Research) saw that the impact on earnings of the gloves manufacturer could be minimal as most of the employees in the gloves manufacturing sectors were already earning more than RM1,050. “For employees that falls below the minimum wage requirements, which we estimate to be less than 10 per cent of the total employees, our calculation shows that the impact on earnings of gloves manufacturers will be less than one per cent,” it detailled in a note yesterday. “Aside from a minimal impact of less than one per cent on the earnings of the gloves manufacturers, the impact of the new minimum wage on the gloves manufacturers is also negligible as the manufacturers will be transferring the increase in production costs to their customers, which has been the industry-wide practice all this while,” it explained. In general, MIDF Research estimated that labour cost constitutes about 12 per cent from the total gloves production cost for manufacturers. “All in, we are maintaining our neutral stance on the sector in view of the capacity constraint due to most manufacturers already operating at a sold out capacity position at this juncture,” it added. Meanwhile, Malaysian Rubber Glove Manufacturers Association (Margma) president Denis Low Jau Foo said that the rubber glove industry will take the wage increase in its stride. “The government is striving for an equitable and balanced solution for both employees and businesses. We will manage and do the necessary cost adjustments,” he said in a statement yesterday. He added that the rubber glove Industry is expansionary with world demand now at 268 billion pieces and Malaysia producing more than half the world demand at 63 per cent. The export of rubber gloves is worth an estimated RM18.8 billion in 2018.